Can't believe it's almost 3 weeks since the last post. Although there's really lot to say, but I will start little by little. 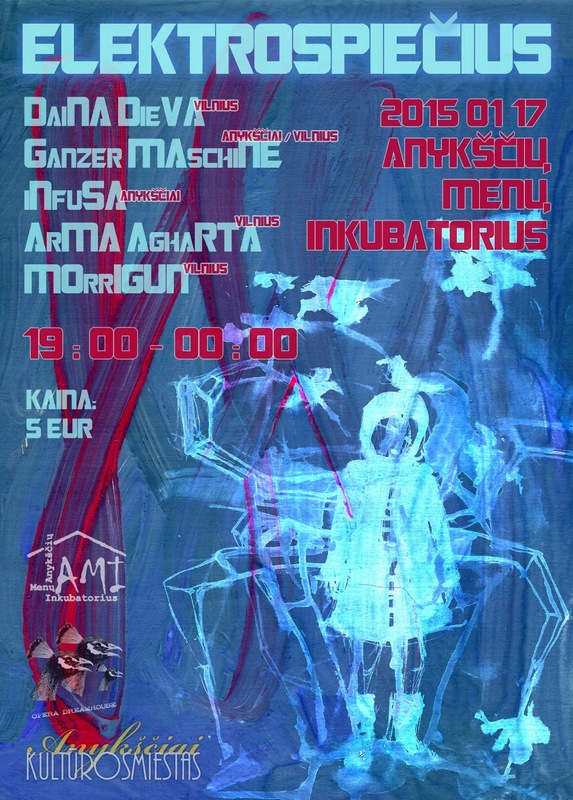 So, the first show in 2015 is tomorrow in small town Anykščiai, Lithuania. Never played there and probably this time will be less performative as usual, but more into sound exploration, which I find lately quite impressive. Using the same instruments, but in different chain - this is the secret of new sounds! The nearest plans for this year include small tour in Germany, Speigas festival, VI edition and moving to Leeds, UK. Later more about all that.